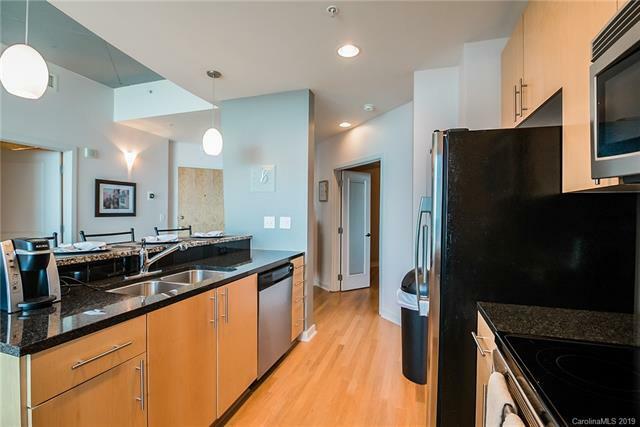 RARE TOP FLOOR 2 FULL PRIVATE BEDROOMS CONDO with STUNNING views of the city! Walk into the lobby and immediately be in awe of it's incredible contemporary beauty. 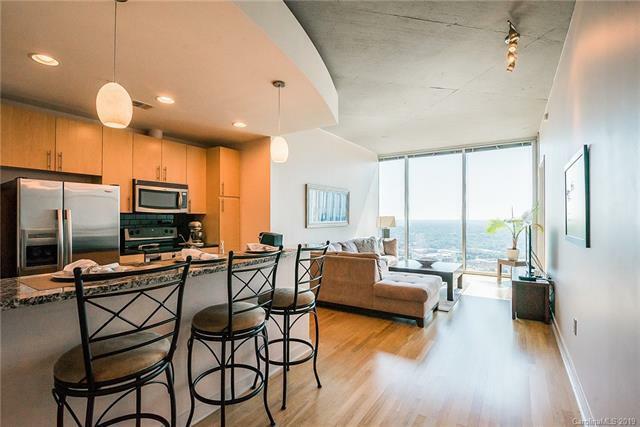 Head to the 36th floor and this condo awaits you with a modern feel and the warmth of the city views. 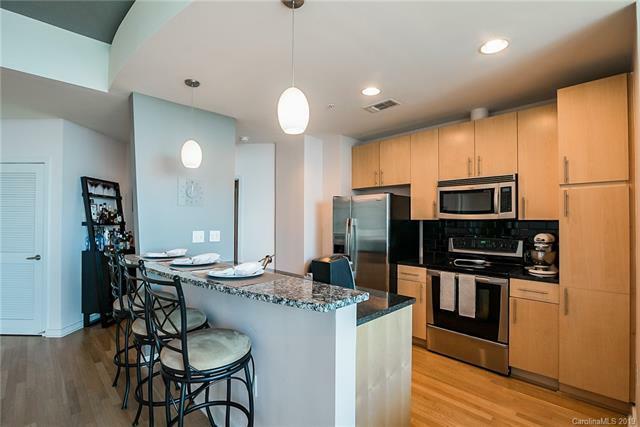 The kitchen features bar seating, granite counter tops, ss appls, pendant lighting & lots of cabinet space. The main master is incredibly private & quiet from any outside noise. Some areas in condo also had resurfaced exposed walls for a cleaner, modern look! Baths are tiled around tubs with granite counter tops. Unit has the Nest Thermostat installed! The balcony has spectacular sunrise views! The condo amenities on the 10th floor and are amazing. You will enjoy a pool, pool table, community lounge area, 2 grills, outdoor fireplace w/ TV, fitness center and Yoga room! Google Fiber available!! You will be living the high life in your new high rise!!!! Parking space 516 & 517 on P4.